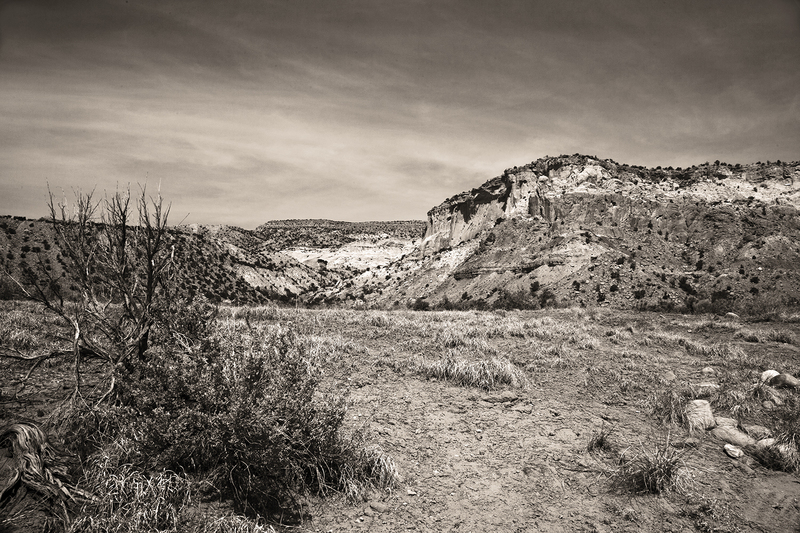 Ghost Ranch is one of New Mexico’s iconic locations, all red rock mesas, piñon pines and scrub. It’s makes for a perfect photo jaunt which when combined with lunch at Bode’s General Store in nearby Abiquiu. After lunch jump over to Plaza Blanca for more New Mexico magic. This is a stunning image, Steve. So often, Ghost Ranch and its geology emphasizes the geological elements but mostly the incredible color. The black and white you posted here highlights the assorted elements of the geology and sky. Just delicious. Well done, Amigo! Steve. you're talking about one of my favorite photo locations in NM. What a beautiful setting, even from the highway. And it seems to stretch for miles. 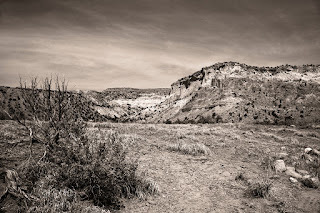 Love your B&W treatment of Ghost Ranch....up to your usual standards of creativity. Thanks you two. I'm glad you like the B&W treatment. Steve, the textures, the composition, viewpoint, and epecially the toning in this piece are spot on. This image "takes me there" like no other I've seen. Congratulations amigo. Gracias Juanito. Estoy feliz que te gusta. ¿Como está?